Come home to the majestic centerpiece of 100 Maiden Lane, a 100-foot skylight atrium that illuminates the space with natural light. Other features include 24/7 concierge, duplex lounge, valet service, on-site attended garage, and varied unit types. Among the wealth of luxuries at 100 Maiden Lane is our state-of-the-art gym complete with cardio machines, weight training equipment, and aerobics space so you can work on your fitness with convenience and ease. A faceted glass skylight adds dramatic natural lighting to our atrium. 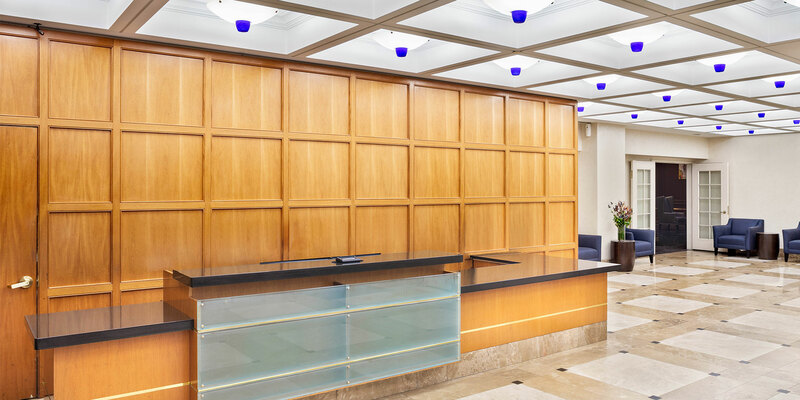 In the elegant tradition of a bygone era, the lobby’s architectural wood paneling sets the mood for lively conversation with friends or curling up with a good book.